Applicants those who are applying for these posts should have a Degree of Ph.D in Social Work or Sociology or Development Communication or Mass Communication, Master Degree, Diploma in Sound Engineering or Sound Recording, B.Sc in Multimedia or Animation and Master Degree in Library Science or Library Information Science or equivalent and candidates please refer official notification for post wise educational qualification. Applicants' age should not b more than 35 years as on 05-05-2014. But upper age relaxation will be given as per the Rules. 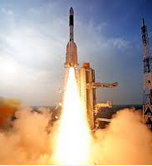 Eligible and interested candidates who meet all the qualification can apply online through the official website of ISRO from 16-04-2014 to 05-05-2014 and after filling online application candidates are required to take a print out and send along with attested copies of all relevant certificates/documents to the Administrative Officer (RMT), Building No.30-D, Space Application Centre (ISRO), Ambawadi Vistar, PO-Jodhpur Tekra, Ahmedabad-380015 on or before 16-05-2014.